Altosoft, an innovator in the field of healthcare informatics and business intelligence, today announced that Health Network Laboratories (HNL), has chosen to implement Altosoft's Insight™ system at its anatomic and clinical pathology labs in Pennsylvania and New Jersey. 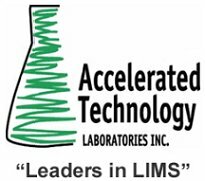 Atrium Research, the leading scientific informatics market research organization, announced today the release of the fifth edition of company’s landmark report, Electronic Laboratory Notebooks: A Foundation for Scientific Knowledge Management. First published in 2004, this new edition of the comprehensive ELN market analysis examines technology, requirements, best practices, legal issues, benefits, industry trends, and products. BioClinica®, Inc. (NASDAQ: BIOC), a global provider of clinical trial management solutions, announced the latest release of BioClinica Express EDC. This modern, web-based platform is a comprehensive electronic data capture (EDC) solution that adds speed and quality to every part of the clinical trial process. 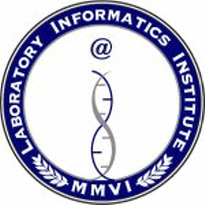 Life scientists gain new and enhanced visual data exploration and analysis capabilities with new releases of JMP Genomics and JMP Clinical software by SAS, the leader in business analytics. Both solutions, announced today, dynamically link SAS® Analytics and JMP graphics to provide a comprehensive picture of research results. PerkinElmer, Inc., a global leader focused on improving the health and safety of people and the environment, today announced that it has signed a definitive agreement to acquire Caliper Life Sciences, Inc., a Hopkinton, Massachusetts-based leader in imaging and detection solutions for life sciences research, diagnostics and environmental markets. 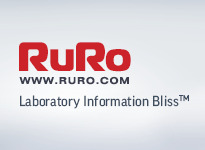 RURO, Inc., a developer of research productivity and management technology today announced the addition of radio frequency identification (RFID) support to their enterprise-class LIMS 247® solution for managing laboratory information and processes. CSols announced today that it had recently secured an order for the deployment of its AqcTools software at South West Water’s laboratory in Exeter. AqcTools is a new software application that provides laboratories with dedicated statistical analysis of analytical quality control samples, leading to improved monitoring of instrument and analytical performance and hence correct intervention to ensure the highest sample result quality at all times.